Another scandal has emerged, this time over fuel consumption figures – the culprit is Mitsubishi Motors Corporation (MMC), which has admitted to manipulating fuel consumption test data on four mini-car models to present better fuel economy figures than that achieved. 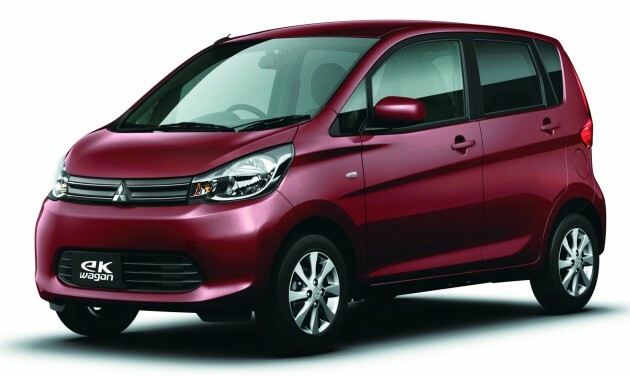 The company announced yesterday via a statement that fuel consumption tests had been improperly conducted on the Mitsubishi eK Wagon and eK Space as well as the Nissan Dayz and Dayz Roox, which it has been manufacturing and supplying to Nissan since June 2013. More than half a million cars are involved in the latest fiasco – MMC said that up until March this year, it has sold 157,000 units of the eK Wagon and eK Space and supplied 468,000 units of the Dayz and Dayz Roox to Nissan. Mitsubishi said that since it developed the applicable cars and was responsible for obtaining the relevant certification for them, it was the party that conducted fuel consumption testing. The issue unraveled when Nissan, in the process of carrying out research for the development of the next generation of mini-car products, performed its own tests to examine the fuel consumption rates of the applicable cars for its own reference. It found deviations in the figures, and requested MMC to review the running resistance values set by the latter during its tests. Following the request, Mitsubishi’s internal investigation unearthed the data manipulation, which saw running resistance values for testing being tweaked to provide more advantageous fuel consumption rates, with results garnered from a testing method different from the one required by Japanese law. It added that the testing method had also been applied to other models manufactured by it for the Japanese domestic market. The company stated that it has pulled the plug on production and halted sales of the applicable models, and said it plans to set up a committee consisting only of external experts to conduct an investigation into the matter in an objective and thorough manner. Meanwhile, Nissan said it has stopped sales of the affected models and will discuss compensation with MMC regarding this issue. In human language, they overinflate the tyres. Chew on that, VW. They need advanced electronics, software to cheat, the Japs simply use old school method. Mitsubishi, I’m not even mad, that’s actually clever and extremely cheeky. how about my super fuel efficient Inspira?? one is fuel consumption manipulation and the other is emission manipulation…same issue meh? but if u follow closely VW saga, you would have found that they also admit on manipulation of test method, one of which “over inflated the tyres”…. so yeah I guess they are as clever as mitsubishi? Better fuel consumption = lower emission, they’re correlated. Both also good factor for marketing. Time to pull down the shutter? It’s good to admit mistakes unlike Perodua. Advertise 21km/l when I drive it, I get only 12km/l. Celaka. It’s even worse on highway. When I’m on my Inspira at 160, the consumption is around 12km/l. The Axia only does 8.5km/l. There will be extra drag at higher speed when you’re ON your car compared to when you’re IN it. are you sure 33l? just got my axia few weeks ago, my range got 4km left then fill up full tank 26l only can go. and my avg now is 11.3km/l. probably a bit worse than policeman bcs engine still running in. the only way you can get 21km/l is if you’re on a super smooth highway like klia there. and btw, the recommended tyre pressure for axia is 250kpa. i had to lower it down, it’s unbearable. Never trust remaining balance and fc calculated by car, never accurate. The 21 km/l is to get the EEV status only. Real world fuel economy is far worse, which begs the question: how in the hell did Perodua arrive at that claimed figures? 21km/L only can be achieve when u drive alone and u weight like 60 – 70kg, and without carrying any cargo and passenger and without mod the Rim, Tyres or add UR Bar and make sure your tire has the right pressure, your air-filter is clean, and your average speed is between 60 -90km/h and make sure your acceleration rev wont pass across 3000rpm. I tested on highway, car is empty and Im driving alone (70% highwway + city 30% with medium level traffic jam), 28L can drive 450Km, eco-light is 80% light-on most of the time, and when I accelerate the rev was not pass 3k rpm and A/C is always on. If u switch off A/C, and drive 100% highway at 80km/h, can easily achieve 19km/L above, and it is an auto SE-spec. If not mistaken, to achieve the claimed 21km/l, you need to be using the 0W-20 Engine Oil as well. Not the first time Mitsubishi concealed their immoral acts. Not too long ago (2004), Mitsubishi was royally screwed for hiding design flaws with some of their older models. They had to recall hundreds of thousands of cars worldwide. At least, Mitsubishi admitted their wrongdoings. This is a lot ‘better’ than VW’s case. This will not help Mitsubishi one bit, they are already struggling in Japan (worst selling Japanese brand, even Subaru beat them year after year), and this will only make things worse for them. Even in China, their sales are extremely poor for a Japanese badge (only 0.3% market share, all other Japanese brands have between 1 and 5% each). If it weren’t for ASEAN, the U.S. and South America, Mitsubishi would have gone bankrupt many years ago. Yeah right. If this was P1, bashers wud demand nothing less than harakiri from BoD, CEO, COO, CFO, upper management, middle management, execs and engineers. And it must be done live on national TV, then upload to U tube. Sushi brands fuel economy are in paper only. Mits is a pariah jap car company! That’s why they shoved pariah models down proton’s throat with pariah gearboxes. Maybe it’s not completely protons fault now coming to think of it. Previous Post: SPIED: 2017 Honda CR-V – first pics of next-gen SUV!